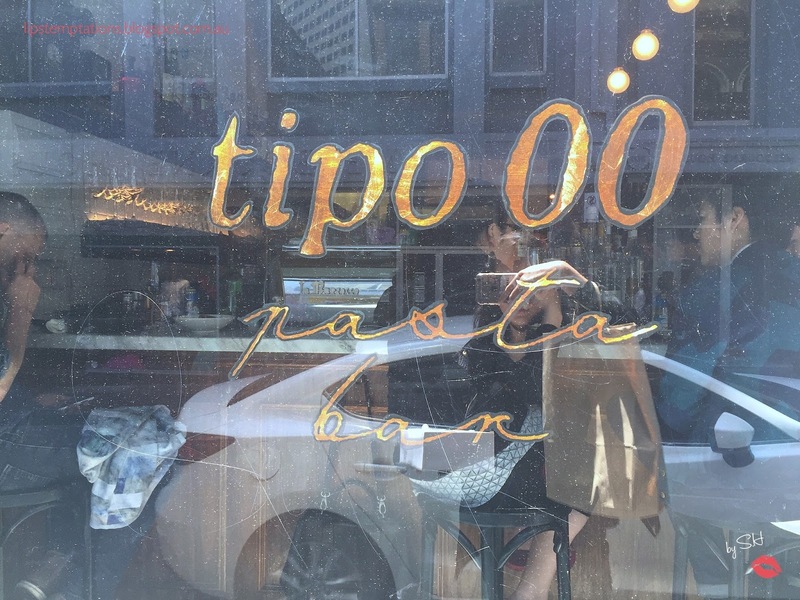 Tipo 00 is a popular Italian restaurant named after the traditional flour used to make pasta. 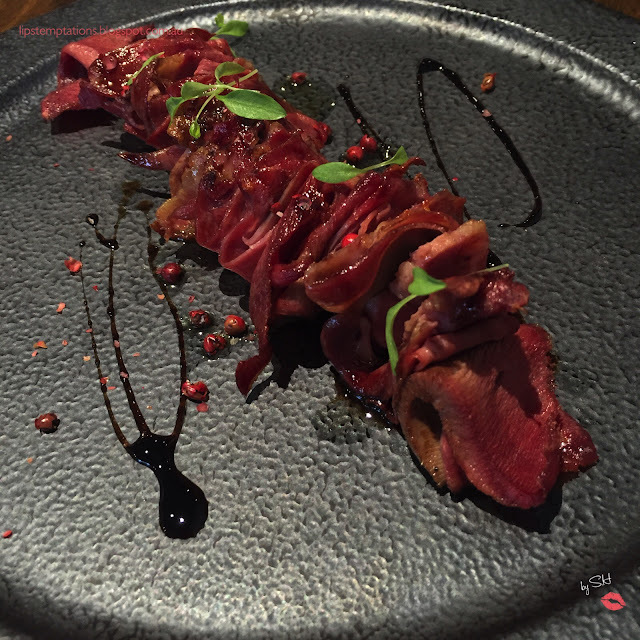 They received the award for Best New Restaurant and also awarded one hat on the recent Age Good Food awards. 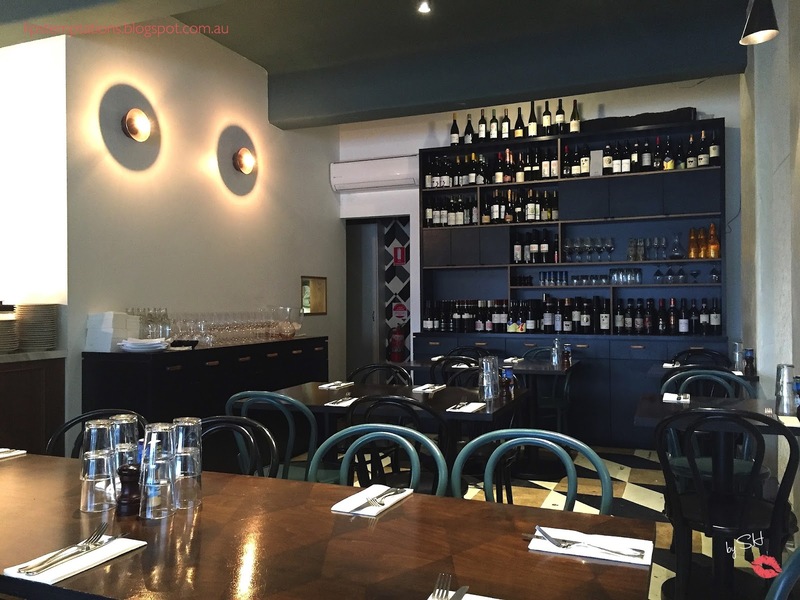 It was also voted best casual dining restaurant in TimeOut Melbourne awards. Tipo00 pasta is all housemade. The place it self was small (40 seats) but modern and chic decorated with white marble bench tops, dark woods, open kitchen and high stool bar. My best friend wanted to treat me to dinner as my birthday presents, seems appropriate since I just started my own blog. 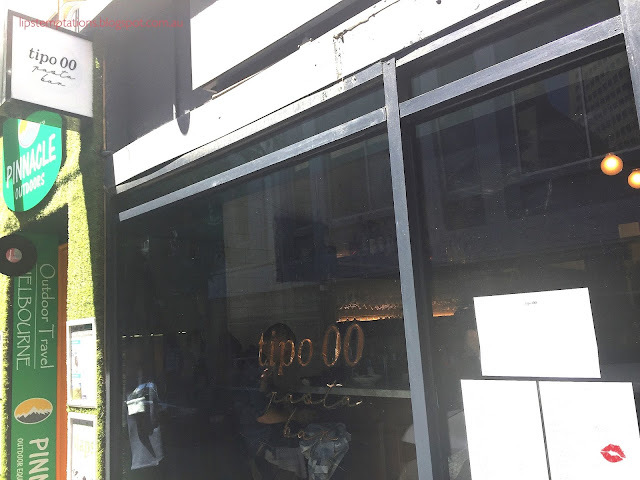 We decided to go to Tipo 00 and call a month earlier but it was fully booked for dinner, so we decided to go for lunch instead. Even on lunch they have spesific time slot and the rest was fully booked. 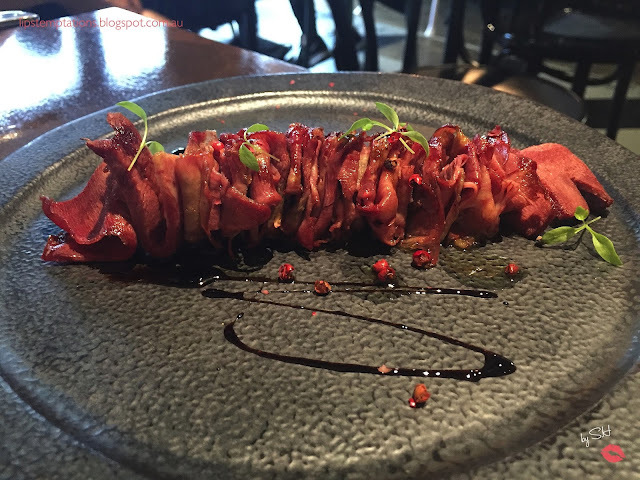 Tipo 00 is clearly hot in Melbourne right now, bookings is highly recommended. 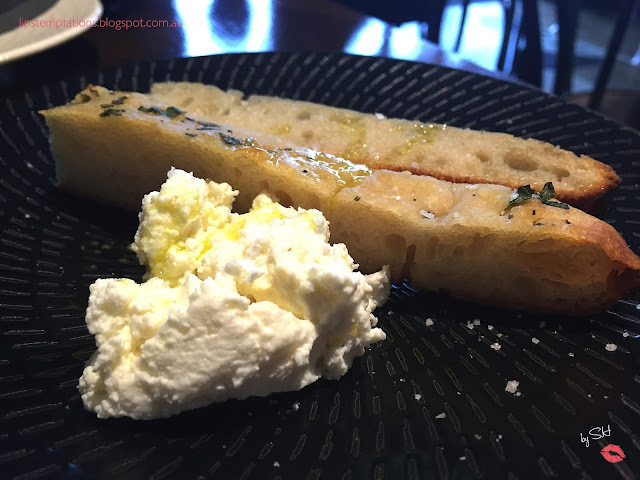 Complementary Focaccia with Ricotta and Basil oil. The focaccia was farm and freshly baked, accompanied by light ricotta and oil. Lingua - grilled ox tongue, balsamic vinegar and pink peppercorns ($14). Thinly cut, well cooked and well seasoned. Gnocchi di patate - braised duck, porcini mushroom and pecorino pepato ($24). 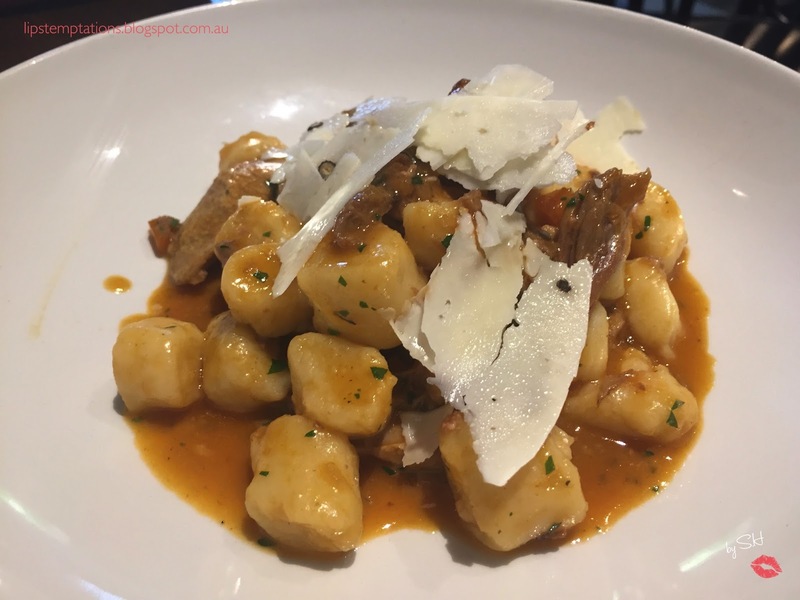 It was light, soft pillows of gnocchi with sticky delicious ragu and tender braised duck. 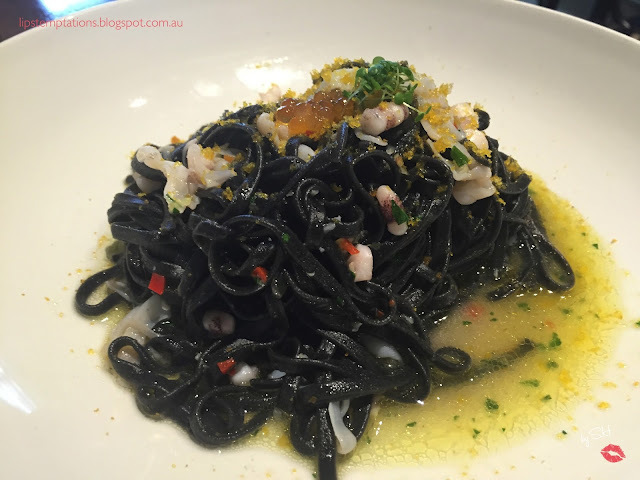 Tagliolini al nero - squid ink tagliolini, squid and bottarga ($24). Sometimes squid ink has some fishy flavour and smell but Tipo 00 made it perfectly and there is no fishy taste or smell at all. The pasta is well seasoned. Tipomisu - chocolate, coffee, mascarpone ($14). 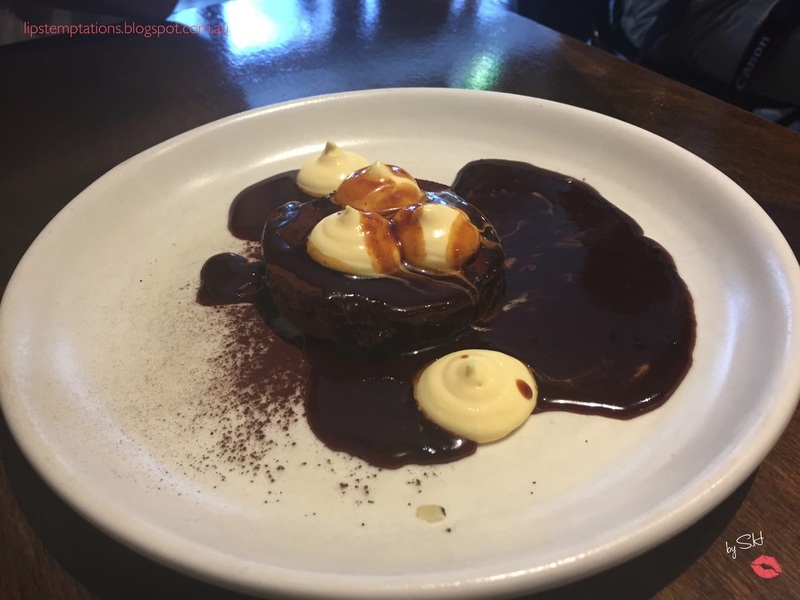 It was rich, dense chocolate cake with mascarpone and topped with rich coffee caramel sauce. It was good and very rich but for me it's not tiramisu enough but maybe that's what they are aiming for. Overall, it was a pretty good lunch. I would love to come back and try the other pasta dishes as well as their panna cotta desserts.